A gorgeous pair of sterling silver hoop earrings personalised with your words. 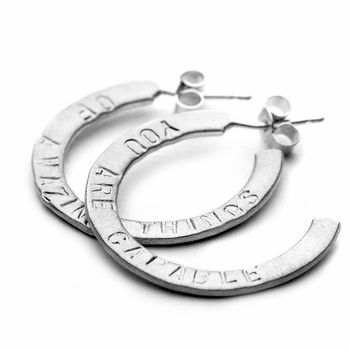 These easy to wear, classic hoop earrings are completely unique with your words. Add names, dates or a little message. The perfect gift for mum or the BFF! Please note that the text is hand stamped letter bu letter rather than machine engraved and the text will not be perfectly straight or aligned. 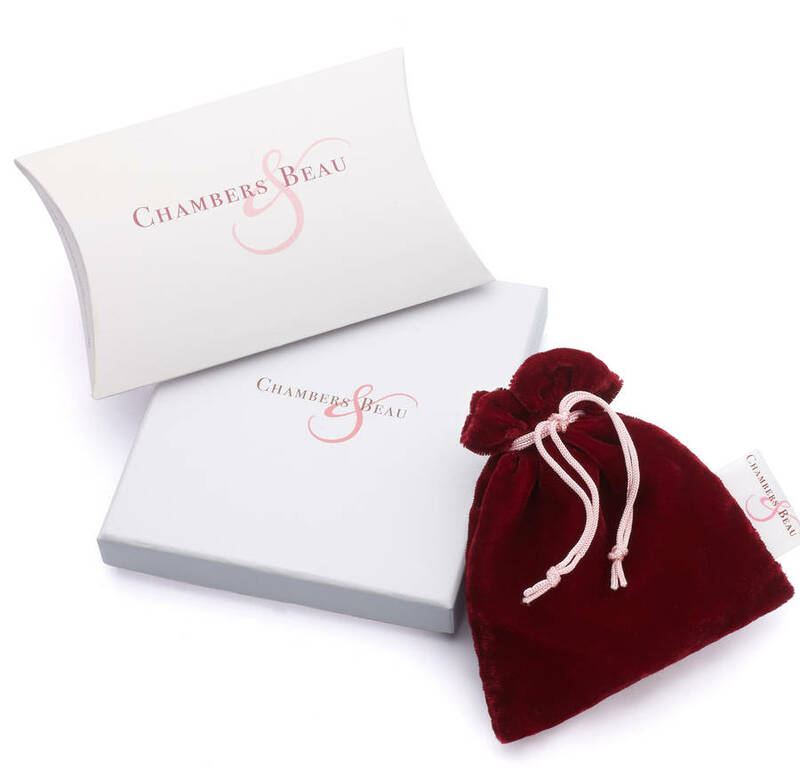 We believe this adds to the charm of Chambers & Beau pieces. Each hoop earring can be personalised with up to 18 characeters.